It’s no secret that Australia enjoys some of the best solar resource – sunshine – in the world. But there’s another area where we are also well-positioned as a nation; another resource that will help us embrace a renewable energy future. Australia’s solar researchers are among the world’s best, driving innovation, setting world records and constantly pushing the boundaries of how efficiently and cheaply we can harness the power of the sun to create clean, renewable energy. Since its inception, ARENA has been a crucial part of that story, helping to fund cutting-edge research and and then lending support to attempts to commercialise the products and processes that result from it. Now we are excited to unveil a new commitment to research and development in the solar energy space, the third such funding round ARENA has undertaken. ARENA will fund 20 projects from some of the top research labs in the nation (and the world) with a total funding commitment of $29.22 million. The money will make its way to researchers who are creating technology that will power the homes and lives of the near future. It involves projects as diverse as backing transparent cells that can be used as solar power generating windows or searching for an adamantine structure that, when coupled with silicon solar cells, could produce one of the world’s most efficient solar cells. Researchers in Canberra, Sydney and Melbourne are racing to come up with new methods, applications and products that will represent the future of solar energy as well as create future export and commercial opportunities for Australian businesses. “Australia is leading the world in solar PV research and development,” ARENA Chief Executive Ivor Frischknecht says. “Over the past five years, ARENA has funded breakthroughs which have helped make solar PV competitive with wind power and we want to take that even further. 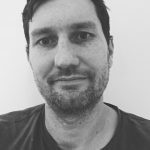 “In this funding round, the candidates and the calibre was so high, we actually increased the total funding we awarded to nearly $30 million,” Mr Frischknecht said. “This research will improve the technological and commercial readiness of new innovation in solar PV cells and modules, enhance Australia’s position as world-leaders in solar PV R&D and address Australian-specific conditions,” he said. The aim is to support research that is at a relatively early stage and that has the clear potential to to reduce the cost of solar PV cells and modules, aiming for eventual commercial applications that can deliver cheaper solar power to consumers. ARENA’s commitment is only part of the total being invested in these cutting-edge projects. Industry partners and other institutions from Asia, Europe and the United States are involved in many of the projects, which represent a total value of investment of around $102 million. “Australia is at the forefront of solar PV technology development – our researchers regularly break world records,” Minister for the Environment and Energy Josh Frydenberg, said. “All projects focus on efficiency and cost effectiveness – whether they be developing promising materials, improving manufacturing methods or scaling up new technology,” he said. There’s plenty to get excited about, and we’ll have more to say in coming days, but here’s a brief glimpse into some of the work that ARENA is helping to advance. A researcher at UNSW’s Solar Industrial Research Facility. IMAGE: ARENA. The University of New South Wales has long built a reputation as being home to some of the world’s most advanced solar research. That position is further entrenched with 11 of the 20 successful projects in ARENA’s funding round being undertaken by the university’s researchers, attracting total ARENA funding of $16.43 million. Among them are Professor Martin Green and his team’s attempt to find a new form of adamantine compound that can be overlaid on top of silicon solar cells to create a more efficient cell. Professor Green is optimistic that the resulting “tandem cells” can break through the barrier of 25 per cent efficiency that limits most current cells. And they will aim to create this more efficient solar cell while avoiding issues of toxicity that can often accompany similar technology. There’s also an attempt to use “hydrogen trapping” technology to create a new form of wafer that could contribute to much lower cost solar cells. That project, to which ARENA has contributed $1.97 million is being undertaken with industry partners including Jinko Solar and TongWei Solar and has a total project cost of $9.23 million. One of the two projects funded at Monash University will aim to bring you a future in which the windows of your home or office might double as solar cells, harnessing the energy of the sun. The project, to which ARENA has contributed $750,000 towards a total budget of $3.75 million, aims to further the development of high efficiency, semi-transparent photovoltaics (PV) for use as building integrated photovoltaic (BIPV) windows. The project will use perovskites, a thinner “printable” form of solar cell, which offer efficiencies upwards of 20 per cent, instead of amorphous silicon, which is currently used in some window integrated solar cells. Perovskites are also a focus of some of the six projects being funded at the Australian National University. The crystal structure of perovskites allows them to be used to print solar cells on lightweight and flexible material that efficiently converts sunshine into electricity. One of the ANU projects seeks to reduce the cost of perovskite cells by removing the need for expensive materials such as gold to be used as electrodes. Another will partner with Jinko Solar to develop large area perovskite-silicon tandem cells that are both highly efficient and extremely stable, thus addressing two of the key challenges facing commercialisation of perovskite cells. All-up the ANU projects will receive ARENA funding of $7.89 million. ARENA is funding a boost to this project at the CSIRO lab in Melbourne. IMAGE: ARENA. 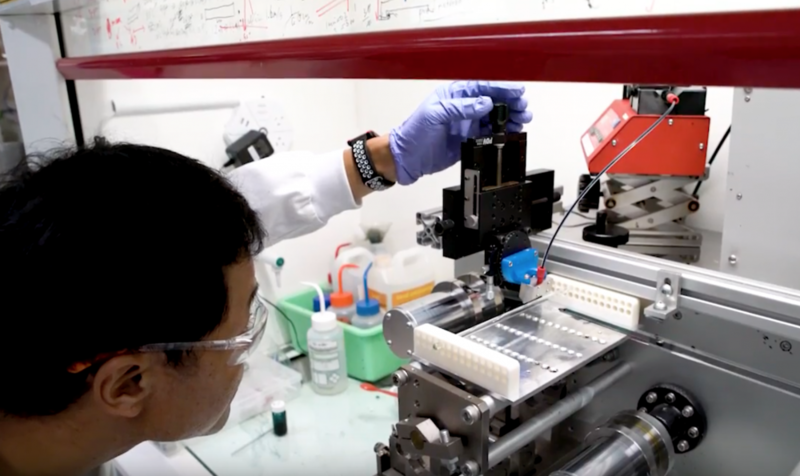 A project being undertaken by the CSIRO in Melbourne will aim to translate the high efficiencies achieved in laboratory-scale perovskite cells, which are still relatively small, to the much larger commercial-scaled PV modules. 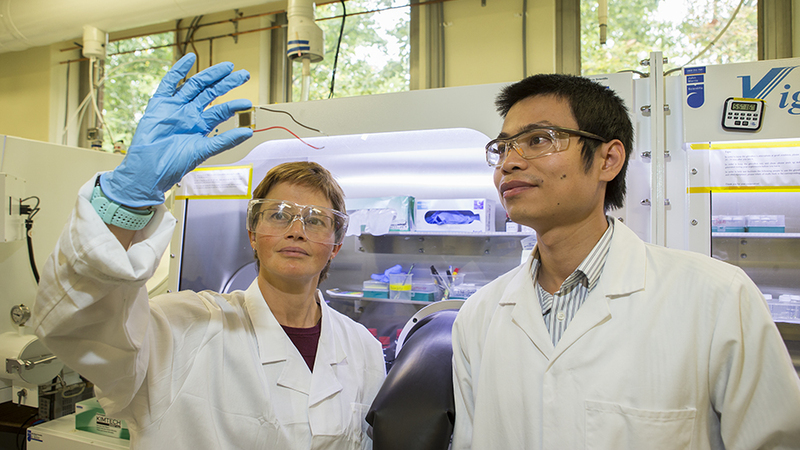 The CSIRO’s Flexible Electronics Laboratory (FEL) is investigating how to mass-produce lightweight, efficient solar panels by printing them on flexible plastic films, similar to the material used to make plastic banknotes. ARENA will contribute $3.31 million to those efforts. The project aims to accelerate the commercialisation of these flexible perovskite PV devices, that are far more portable than conventional silicon solar panels and are extremely suitable for applications such as large colourbond-style roofs above factories, aircraft hangers and warehouses that are often not strong enough to support conventional solar panels.